I just thought that I’d post updated images from each of the worlds that we have teased so far! Stay tuned for more! 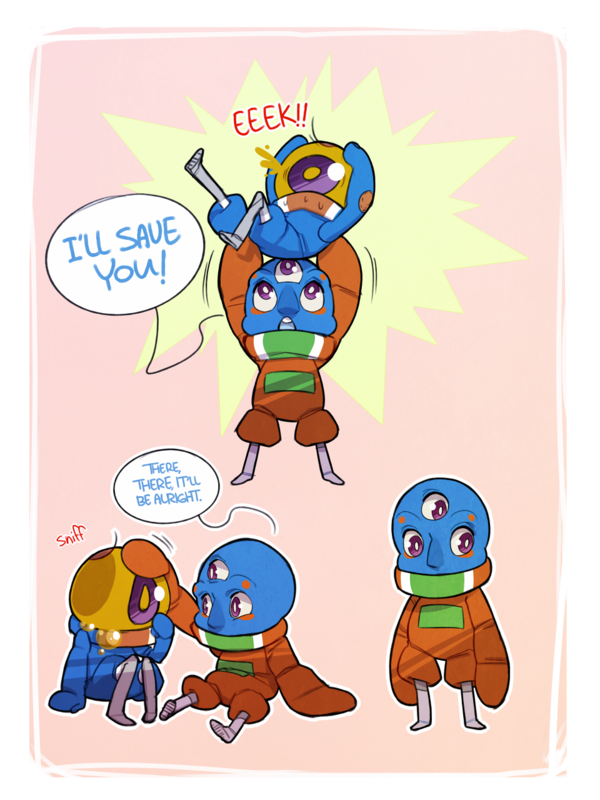 Also, note that the World 2 update is the most recent and includes a redesign of our character, III (Three). 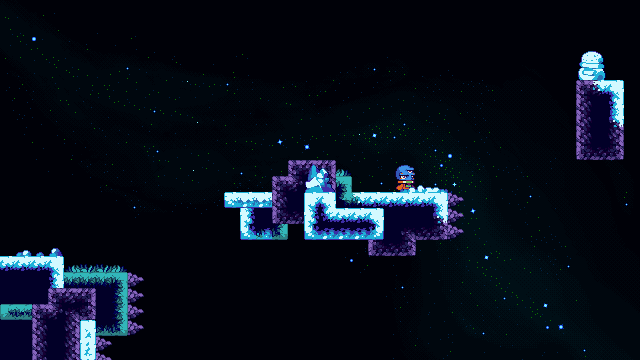 With that we are responding to feedback that mentioned that our player sprite(s) looked a bit static. 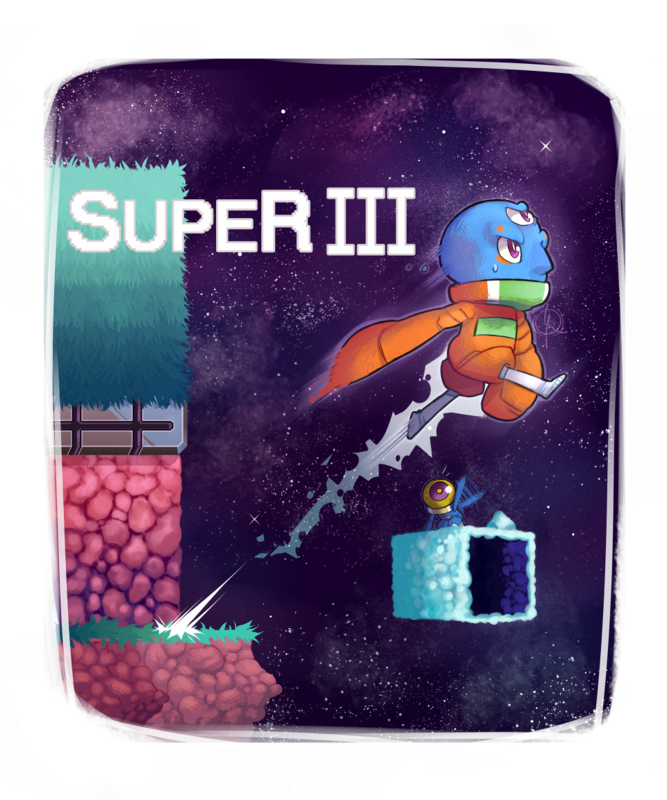 For those of you who don’t know, the PC build of SUPER III is currently being developed in Game Maker: Studio. Some believe that GM is an inadequate programming tool, but I find that it is great for what I do and I wanted to share some of the tricks that I have learned along the way. In this series I’ll talk a bit about GM code and a bit about how to polish the edges of your game concept to add “JUICINESS”. I hate that term, but I’m going to roll with it. To begin, I’m going to discuss a single game object that I have recently implemented into WORLD 3 of our current project, SUPER III. A few people have already asked how I got the fire to look the way it does, and the answer is quite simple: minimize art and maximize your manipulation of the art. 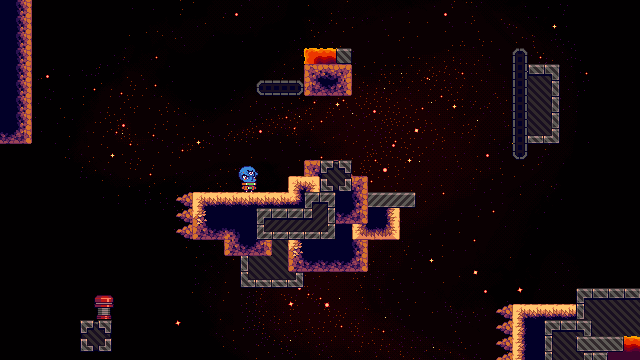 The fire trap actually consists of two objects. The first one, “oFlame”, simply plays this small explosion animation. That’s it. That’s literally the only “fire” art we have in the game at this point. It’s the second object, oFlameTrap, that does all of the work. After being triggered by the player, the flame trap runs the following code every frame, for 15 frames. Is it efficient, not really? Does it work? Yes, and it looks how I want it to look. Part of making independent games is knowing that perfect engine architecture and program design is NOT number one. DO WHAT WORKS. 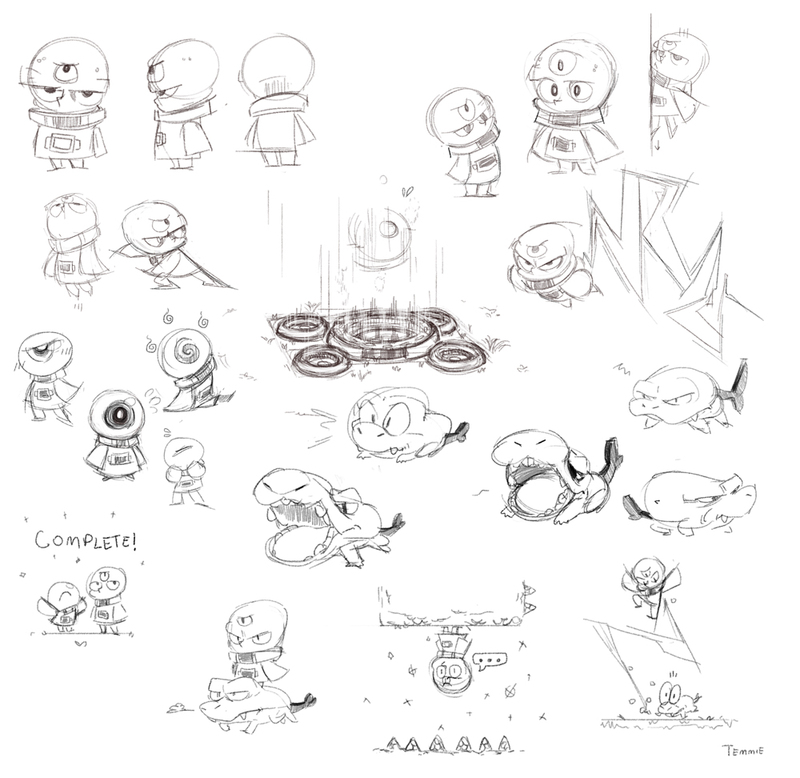 1) Choose a random angle at which to draw the sprite attached to oFlame. 2) Select a random (but slow) speed for the flame to be moving horizontally. 3) Select a random (but quite a bit faster) speed for the flame to be moving vertically. 4) Select a speed for the sprite animation to play at (this makes some flames last longer than others). There are also other small things that make the trap work well. For one, the flames only damage the player for the first half of their animation cycle. 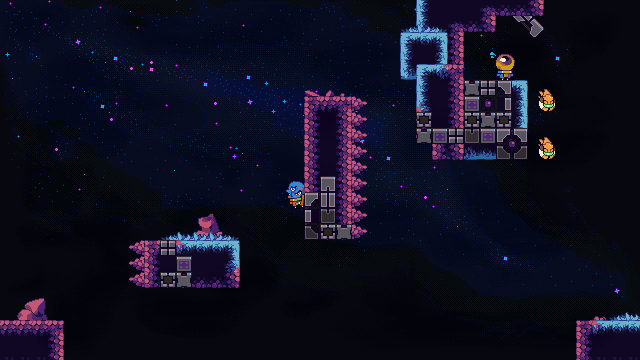 This allows the player to safely jump through the smoke towards the top of the flame bursts. 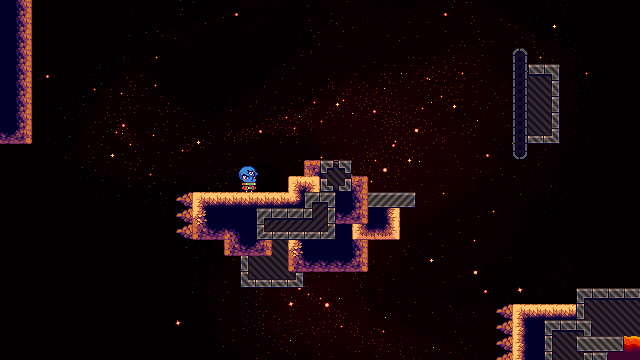 Also, the trap base shakes for 8 frames prior to releasing any flame objects. This is done simply by drawing the sprite at a random offset. That’s all for now. Let me know if you would like more small articles like this in the future!